Honda promises to create a world without accidents and a safer planet with Honda City 1.5 V MT. The shiny metallic body of the sedan overtakes your expectation and you simpler can’t resist glancing at the gleaming body. The interiors redefine the limit of comfort in Honda city and thus the car is given a tag line “The race Lies within!” The smooth curves on the side corners do not give it a boxy shape and gives a feel of perfection. The chrome grille with the signature of Honda mated with the cheetah-eyed headlamps give a fantastic look to its front. The diamond like front fog lights gives the finest clearance in darkness. The 1.5L i-VTCE Engine mated with 6 speed synchronized manual transmission promotes power of 118PS at 6600RPM and torque of 146Nm at 4800RPM. The suspensions work accompanied with alloy wheels don’t let it loose its grip on road, no matter what the speed is. The beige interiors give it a sophisticated look and the console panel is highlighted in silver locking very stylish and classy. Even the door handles and door lining with door switch panel are colored silver. The sedan is very much spacious, and the comfort of the seats will make you feel in your bed. The advanced integrated audio lets you set ambience of your choice. The G-CON technology gives the Honda City 1.5V MT a protective shell covering which can protect you from collisions. The pretension seatbelts, EBD, ABS with break assist and dual SRS airbags provides greater safety for the occupants. Other added utilities include side and bumper protectors, back up sensors, illuminated side step garnish and rear under, side under, front under spoiler with ducktail spoiler. Honda City is new looks and totally enticing. it new features make the car truly exceptional. 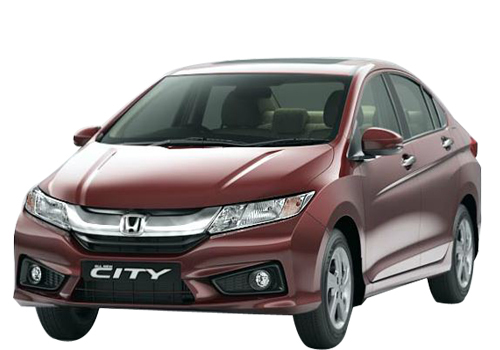 The Honda City is complete name of quality and performance.